Launched in 2018, the new YFYA Careers Idea’s App. Learn more about the STEM careers that are available to you! Accenture is a world-leading provider of strategy, digital, technology and operations expertise that’s transforming the way many of the biggest organisations approach business. We’ve recently evolved our capabilities through the creation of a new business structure. This means you’ll be joining us at a great time and as part of the first intake of this new structure, you’ll help shape the change. 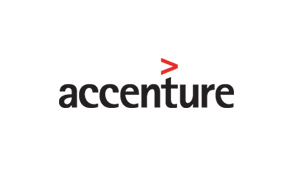 With the launch this year of two new business areas – Accenture Strategy and Accenture Digital – working alongside Accenture Technology and Accenture Operations, the business continues to bring world-class skills, consulting capabilities and integrated solutions to clients that really work. 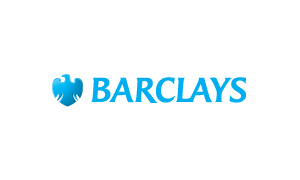 As an organisation, Barclays has a long tradition of innovation that remains at the heart of the business to this day. Already a major international financial services provider, with approximately 140,000 people working in more than 50 countries, Barclays is reshaping and rebalancing its business to build on its strengths. There are now four core businesses: Personal and Corporate Banking, the Investment Bank, Barclaycard and Africa. It is a strong foundation from which to grow. Graduates will find opportunities across each of these businesses, as well as in the vital business functions such as Technology, Risk, Operations and Compliance. Barclays’ ambition is clear – to become both the instinctive partner of choice for all its stakeholders, and the best place for graduates to start their careers. Throughout all areas, we are keen to recruit ambitious, capable interns and graduates from all degree disciplines, who are numerate and commercially aware, with strong communications skills and a desire to learn. 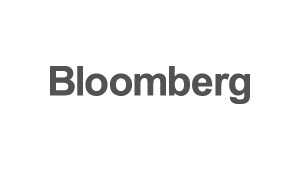 Bloomberg gives influential decision makers a critical edge by connecting them to a dynamic network of information, people and ideas. Our strength—delivering data, news and analytics through innovative technology, quickly and accurately—is at the core of the Bloomberg Professional service, which provides real-time financial information to more than 320,000 subscribers globally. With more than 15,500 employees in more than 192 locations, we deliver business and financial information, news and insight around the world. Bloomberg’s enterprise solutions build on the company’s core strength, leveraging technology to allow our financial services customers to access, integrate, distribute and manage data and information across organizations more efficiently and effectively. Through Bloomberg Government, Bloomberg New Energy Finance and Bloomberg BNA, the company provides data, news and analytics to decisions makers in industries beyond finance. Bloomberg News and Media, delivered through the Bloomberg Professional service, television, radio, mobile, the internet and three magazines (Bloomberg Businessweek, Bloomberg Markets and Bloomberg Pursuits), covers the world with more than 2,400 news and media professionals at more than 150 bureaus in 73 countries. Artificial Intelligence is not just a buzzword. It is a revolution in technology that is overtaking our world. The advances are in every mobile phone from face recognition to prediction of movies for you to watch next. We help solve the problems faced by businesses and individuals today, because we invent the algorithms that put the Intelligence into AI. From the next generation of Machine Learning algorithms to advancements in agent-based modelling, we are at the forefront of innovation in this exciting area. We’re a leading team of computer science researchers and software engineers. We sponsor PhD students and we encourage all our staff to achieve their full potential intellectually, and through building high-impact products for industry and consumers. Come and help us build tomorrow’s world, today. 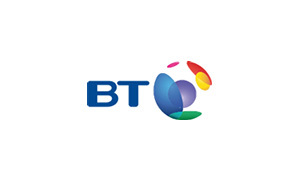 BT has been at the forefront of technology for over 160 years. Right now, we’re a truly global business – and one of the world’s leading technology companies. But our ambitions go much further. What excites us is the possibilities in the future – new ways in which we can transform the communication services we off er to businesses and consumers across more than 170 countries. At BT we want to make communication easier and better – helping to create a more connected world. Join our Technology graduate programme, and you could be creating and developing this technology from the start – our technical research department is one of the largest in the UK. You could be launching one of our brand new products to market if you join our Marketing graduate programme – or selling our technology to corporate clients across the globe on our Sales graduate programme. Whatever programme you join, you’ll enjoy fantastic opportunities to help us change the world. 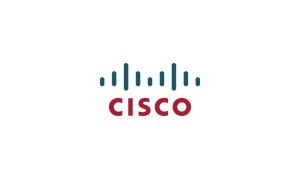 From helping businesses to become more connected and competitive, to enabling people to communicate anywhere, anytime – if you’ve always wanted to make something amazing, you couldn’t have picked a better place to start. Deciding where to start your career is one of the biggest investments you’ll ever make. At Deloitte, you can be sure that investment pays off as you’ll have both the range of opportunities and supportive culture to develop into the professional you have the potential to be. With more projects focused on technology and the latest digital developments, we approach every client with a clear eye on the future. It’s that vision that enables us to help the biggest businesses make some of their biggest decisions, tackle the most complex operations, and lead the leading edge. Choose any of these programmes and you’ll enjoy an unparalleled start to your career in business, tackling a wide range of assignments with high-profile clients across different sectors. You’ll receive coaching from senior colleagues, benefit from world-class training and development and work towards professional qualifications that will set you up for a bright future ahead. What’s more, you can expect excellent rewards and plenty of recognition for the hard work you put in.Deciding where to start your career is one of the biggest investments you’ll ever make. 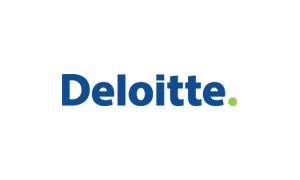 At Deloitte, you can be sure that investment pays off as you’ll have both the range of opportunities and supportive culture to develop into the professional you have the potential to be. As a leading energy company and Britain’s largest generator of low-carbon electricity, we’re asking some big questions about the future of energy in the UK. But more importantly, we’re investing in the ambitious school leavers and graduates who’ll help to answer them. In as little as five years, the UK will be facing a very real ‘energy gap’, and needs a diverse energy mix to fill it. It calls for us to step up to the challenge. And to do that, we need the very best graduates to join our team of 20,000 experts already tackling one of the biggest challenges facing society today. Can we lower carbon, but increase the energy supply? To create a future of stable, low carbon energy, we need ideas, progress and action. We’ve already integrated with British Energy. And we’re aiming to have the first new nuclear power station commercially operational in 2018, in response to the huge shift in UK power generation. We’ve set other ambitious targets too. 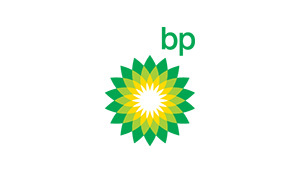 We’ve one of the biggest environmental initiative packages of any British company. We’ve pledged to cut the carbon intensity of the emissions from our electricity generation by 60% by 2020, and invest hugely in low-carbon energy production. We’re also championing sustainability through our sponsorship with the London 2012 Olympic and Paralympic Games as the first sustainability partner. We’re confident of being directly involved with the major developments of the industry for years to come. Our Nuclear and Networks Engineering graduate schemes are designed to ensure that you are too. Can we revolutionise our nation’s energy? 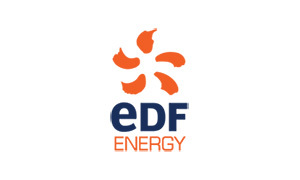 EDF Energy produces one-fifth of the nation’s electricity from nuclear, coal and gas power stations, combined heat and power plants and wind farms. EDF Energy’s safe and secure operation of its eight existing nuclear power stations at sites across the country makes it the UK’s largest generator of low carbon electricity. The company provides power to a quarter of the UK’s population via its electricity distribution networks and supplies gas and electricity to more than 5.5 million business and residential customers. This means we’ve a stake in almost every link of the energy chain. Revolutionising our nation’s energy is almost certainly within our grasp. To help us take that next step, we now have opportunities for a number of graduates and 12-month industrial placements in Nuclear Science and Engineering, Supply Chain, Nuclear Science and Engineering Scheme, Electrical Engineering and Ergonomics. 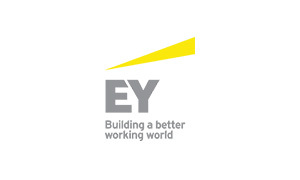 EY is one of the world’s leading professional services organisations and these are exciting and ambitious times for our 190,000 people worldwide. Together we are generating revenues of more than US $25.8 billion and by 2020, we aim to double in revenue. We need driven, ambitious school leavers and graduates ready for a future at the heart of the business world. We will provide the experiences, training and networks to help you get your career off to the best start, and support your professional qualification. As we advise the world’s most important companies and organisations on the issues that matter most, you’ll gain first-hand experience of the challenges that are shaping the world. Our people understand how businesses work and it is their ingenuity, dynamism and creativity that help anticipate and meet our clients’ needs: improving how they work, grow, seize opportunities, and make vital business decisions. Whichever of the four Service Lines you join – Advisory, Assurance, Corporate Finance or Tax, you’ll work with industry leading experts, connect with international colleagues and clients, and gain the confidence for an exceptional career in business. 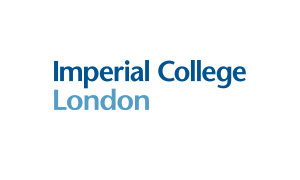 To remain amongst the top tier of scientific, engineering and medical research and teaching institutions in the world. To harness the quality and breadth of our research capability, across multiple disciplines, to address major challenges. To continue to attract and develop the most able students and staff worldwide. To develop our range of academic activities to meet the changing needs of society, industry and healthcare. National Grid’s job is to connect people to the energy they use, safely. We are at the heart of one of the greatest challenges facing our society—delivering clean energy to support our world long into the future. 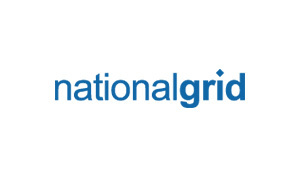 National Grid holds a vital position at the centre of the energy system. We join everything up. We own and manage the grids that connect the energy sources to the people that use it. We’re the largest utility in the UK, running systems that deliver gas and electricity across the entire country, connecting people to the energy they use. In the North East US, we provide power directly to millions of customers. Do you wash your clothes with Ariel? Or feed your dog with Eukanuba? You probably use Procter & Gamble products without even knowing it. Four billion times a day, P&G brands touch the lives of people around the world. We’re the name behind some of the world’s most trusted, quality brands, from Gillette / Braun and Wella to Pampers. But you can do more than use our products: you could be creating, manufacturing, promoting or selling them. The company has one of the strongest portfolios of trusted, quality, leadership brands, including Pampers®, Tide®, Ariel®, Always®, Whisper®, Pantene®, Mach3®, Bounty®, Dawn®, Gain®, Charmin®, Downy®, Lenor®, Iams®, Crest®, Oral-B®, Duracell®, Olay®, Head & Shoulders®, Wella®, Gillette®, Braun® and Fusion®. 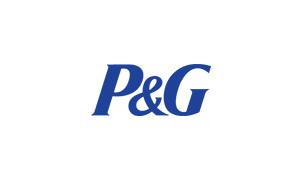 The P&G community includes approximately 127,000 employees working in about 80 countries worldwide. We can offer a huge array of careers in a flexible, inspiring and healthy environment. Right from the start, you’ll be making your mark, owning projects that touch the lives of consumers around the world and facing new challenges every day. The Square Kilometre Array (SKA) project is an international effort to build the world’s largest radio telescope, led by the SKA Organisation from Jodrell Bank Observatory in the UK. The SKA will conduct transformational science to improve our understanding of the Universe and the laws of fundamental physics, monitoring the sky in unprecedented detail and mapping it hundreds of times faster than any current facility. The SKA is not a single telescope, but a collection of telescopes or instruments, called an array, to be spread over long distances. The SKA is to be constructed in two phases: Phase 1 (called SKA1) in South Africa and Australia; Phase 2 (called SKA2) expanding into other African countries, with the Australian component also being expanded. Already supported by 11 member countries – Australia, Canada, China, Germany, India, Italy, New Zealand, South Africa, Sweden, The Netherlands and the United Kingdom – the Organisation has brought together some of world’s finest scientists, engineers and policy makers and more than 100 companies and research institutions across 20 countries in the design and development of the telescope. Construction of the SKA is set to start in 2018, with early science observations in 2020.